We at New Hope believe that God has called us to a great work – a work that is far beyond our capacity. We enthusiastically welcome YOU to join us in this great work. Bringing the Fatherhood of God to the Fatherless of Uganda will only be possible if the Body of Christ bands together toward this great goal. Let’s do it! Sponsorship is always at the forefront of our partnership opportunities, but each year we prayerfully prioritize other needs so that we are able to complete projects efficiently and effectively. Below are the most important fundraising needs for 2018 and our progress for each one. *Dollar for dollar match opportunity for the Kobwin duplex! 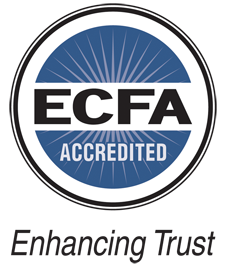 An excellent Christian education teaching Biblical worldview, self-sustainability, agriculture, among all traditional academic subjects. Daily food, water, and medical care. Excellent childcare staff that oversee the care of children both onsite and work with children and their guardians off-site. Ministry to special needs children and vulnerable infants. Outreach ministries such as our camps ministry, radio ministry, prison, youth, and medical outreaches. We are seeking 26 orphan care silent partners. Become a silent partner today. *Thank you to Alexander Ramsey Creative for the banner image!